Delhi - Mandawa - Bikaner - Khimsar - Jaisalmer - Osian - Jodhpur - Udaipur – Pushkar - Samode - Jaipur - Ranthambhore National Park - Agra – Delhi. Royal Rajasthan tour has been designed and planned to showcase historical destinations of Rajasthan, the land of kings (Rajas and Maharajas). 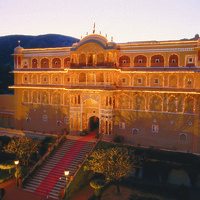 Royal Rajasthan is represented by grandiose forts and beautiful palaces. The mighty and impregnable forts are indicative of traditional gallantry of the ruling class. The beautiful palaces with mesmerizing embellishments in the form of paintings, carvings and embossing are testimony to royal patronage to art and architecture. Spotting Royal Bengal Tiger in the forests of Ranthambhore and having stay in heritage hotels at various locations of Rajasthan, make your Rajasthan tour truly royal. The topping on the ice is Taj Mahal at Agra, a royal homage to love. Day 1 Delhi Arrival & transfer to New Delhi hotel. A representative of Optima India Tourism, inspired with ethos of ‘Atithi Devo Bhav’, will greet you on arrival at Indira Gandhi International Airport of New Delhi in culturally imbued traditional manner. Optima representative will accompany you to hotel and insure your smooth check in. Most of the international flights land late in the night so, expectedly, the day/ night of your arrival has been kept to relax, refresh and sleep. Day 2 New & Old Delhi sightseeing tour. 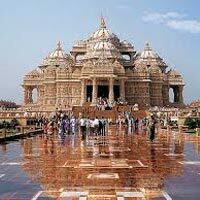 Royal Rajasthan tour commences with sightseeing tour and exploration of Old & New Delhi after breakfast. The sightseeing has been segregated into two parts- pre-lunch & post-lunch. 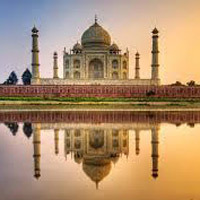 Pre-lunch session is scheduled for Old Delhi sightseeing that includes Red Fort (to be seen from outside), Jama Masjid, Chandni Chowk (on manually driven rickshaw) and Akshardham Temple. Post-lunch, proceed to visit monuments of New Delhi which comprise India Gate, Rashtrapati Bhawan (President House), Qutub Minar, Humayun's Tomb, Lotus Temple and Sansad Bhavan (Parliament). After full day sightseeing tour of Delhi, return to hotel for overnight stay. 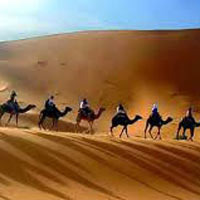 On third day of Royal Rajasthan tour, you enter into Rajasthan. Having gulped in delicious breakfast in New Delhi hotel, set out for Mandawa, a village town in Jhunjhunu district of Rajasthan. Get received by Optima representative on arrival at Mandawa, check in at the hotel, relax and refresh a bit and proceed for Mandawa sightseeing along with the local tour guide. It’s going to be your first exposure of rural India with historical monuments all around. Primarily, the main attractions of Mandawa are Hanuman Prasad Goenka Haveli, Jhunjhunwala Haveli, village lifestyle and centuries old fresco paintings on walls of old mansions. Overnight stay is planned in Mandawa hotel today. You are required to take breakfast a bit early so that you embark on for Bikaner a bit early. This results in ample time in hand to explore Bikaner in its entirety. On arrival at Bikaner, known for its delicious desserts and golden desert, check in at pre-booked hotel to relax a bit and move for Bikaner sightseeing tour which includes Junagarh Fort, Lalgarh Fort, Sardul Museum and, Camel Farm and Breeding Research Centre. Distinctive features of Rajput architecture can be observed in the walls of this city, jharokhas of havelis and wooden carvings. Having explored Bikaner, return to hotel for overnight stay. Khimsar has been incorporated in the Royal Rajasthan tour to impart the traveler a feel of oasis with closest encounter with the day-to-day desert villages' life-styles. Depart from Bikaner after having sumptuous breakfast. Arrive at Khimsar and check in at the heritage hotel of Khimsar. The day has been kept for leisure in luxury amidst unending desert. Many kinds of activities are offered by the luxurious heritage hotel. As per your interest, either you can opt to jeep excursion to nearby villages or relax in the hotel premises. Stay in & visit Khimsar Fort & Palace which has been turned into a five star heritage hotel. Overnight stay has been planned in Khimsar hotel. 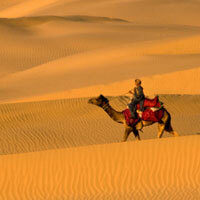 Due to Golden sand of Thar desert, Jaisalmer is called Suvarna Nagari or Golden City of Rajasthan. Royal Rajasthan tour takes you today to Jaisalmer. Have delicious breakfast in Khimsar hotel and proceed for Jaisalmer, in the state of Rajasthan, India. Optima representative will receive you on arrival at Jaisalmer to give you transfer into Jaisalmer hotel. After relaxing a bit, move with Jaisalmer tour guide for visiting various stunningly sculptured havelis of Jaisalmer, outside the precincts of the Sonar Qila. Famous and most visited havelis are Nathmalji-ki-Haveli, Patwon-ki-Haveli and Salim Singh-ki-Haveli. Late afternoon, return to Jaisalmer hotel for overnight stay. Second day in Jaisalmer will be remembered for offering real exotic experiences of Rajasthan. Having breakfast in Jaisalmer hotel, proceed to visit Sonar Qila or Golden Fort of Jaisalmer. Jaisalmer Fort is unique in the sense that it is densely inhabited. Within the precincts of the fort are several breathtaking monuments, especially Hindu and Jain temples, an ancient library, ancient mansions and palaces converted into hotels etc. Early in the afternoon, post lunch, you shall be taken to Sam/Khuri sand dunes on camel. This camel safari will be an enchanting experience. Witness the mesmerizing sunset in the desert. Here, you shall be staying in tented accommodation in desert area where you will be enjoying folk music and folk dance while gulping in the tasty cuisines. Overnight stay has been scheduled in tented accommodation in desert area. Though you could have directly been transferred to Jodhpur but in that case you would have missed historically glorious past of Rajasthan, particularly Osian. So, on Royal Rajasthan Tour, after having delicious breakfast in Jaisalmer, drive to Jodhpur via Osian. Osian is famous for its Hindu (Brahmin) temples and Jain temples. The Hindu Temples are built in classical Nagar style. The Sun Temple of Osian is very renowned. Though, at present these temples are in dilapidated condition but having seen them you can easily imagine Osian's place and importance in history. Continue your journey to Jodhpur. On arrival at Jodhpur, check in at Jodhpur hotel for overnight stay. After having delicious breakfast in Jodhpur hotel, proceed on an exotic excursion to artisans' village. The village is inhabited by Bishnoi community. Farming and craftsmanship are their prime sources of income. Bishnoi village excursion will help you have firsthand feel of artisans’ skill-sets, their value system and lifestyle. Here, you will happen to see the craftsmen working. The route to village passes through amazingly beautiful landscape. You will be watching the artisans in action. After Bishnoi village safari, return to Jodhpur to have lunch and a bit of relaxation. Having relaxed a bit, visit Mehrangarh Fort (considered as one of the best forts of India), Ummed Bhawan Palace (half portion of this palace is opened for the tourists and the rest portion is owned by Taj hotel chain), Moti Mahal, Phool Mahal and Jaswant Thada (known as "Taj Mahal of Rajasthan"). Return to hotel for overnight stay. Have relaxed breakfast in Jodhpur hotel and move for Udaipur. To keep you rejuvenated, the 10th day of Royal Rajasthan tour is reserved for leisurely travel into oasis like destination of Ranakpur. 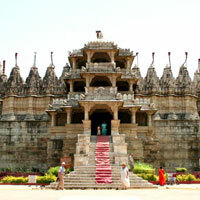 Ranakpur is famous for sublime and serene Jain Temple, a masterpiece of engravings and architectural intricacy. After Ranakpur sightseeing and lunch in a nice restaurant, depart for Udaipur, 95 kms from Ranakpur. Continue your drive to Udaipur. Upon arrival in Udaipur, check in at the designated hotel. Evening here has been kept free to relax leisurely. Overnight stay has been planned in Udaipur hotel. Having delicious breakfast in Udaipur hotel, meet Udaipur tour guide in the lobby of the hotel. Embark on Udaipur tour. Udaipur is called the "City of Lakes" and "Venice of East". Udaipur is known for its distinctive architecture, mammoth monuments, various lakes and chivalry. Visit the City Palace Complex, the Jagdish Temple, the Jag Mandir, Saheliyon-k-Bari and other picturesque spots of tourist interests. Later in the afternoon, enjoy a boat ride in Lake Pichola to watch Lake Palace (Jag Mandir Palace) and old Udaipur. Late in the evening, return to hotel for overnight stay. Have delicious breakfast in Udaipur, check out from Udaipur hotel and move for Pushkar, one of the holiest pilgrimages of the Hindus. On arrival at Pushkar, check in at the designated hotel. Relax and refresh a bit and proceed for Pushkar tour which includes Pushkar Lake, Brahma Temple, Ghats and rustic way of life. 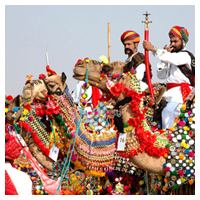 Pushkar is also famous for world's largest camel fair known as Pushkar Fair- a major tourist attraction of Rajasthan. Return to Pushkar hotel for overnight stay. After early morning breakfast in Pushkar hotel, proceed to Samode. On arrival at Samode, you will be received by the staff members of the feudal lord of Samode. Samode Palace, turned into a luxury heritage hotel, will be the place of your stay. Samode will be truly a lifetime experience in terms of having a close look of Rajasthani village setting. Take an excursion up to sand mound on camel back and have lunch in the desert garden. Return to hotel for overnight stay. Having taken delicious and royal breakfast in Samode Palace, depart for Jaipur. Being only 50 kms away from Samode, it hardly takes an hour to reach Jaipur. Instead of checking at Jaipur hotel, you will be directly driven to city centre of Jaipur, home to iconic & royal monuments of Jaipur like City Palace, Jantar Mantar and Hawa Mahal. The Jaipur tour guide will meet you at City Place and accompany you throughout Jaipur sightseeing tour. After visiting famous monuments of Jaipur, explore colorful local market. Hereinafter, move to Jaipur hotel, check in and relax. Late afternoon, proceed for visiting Albert Museum (a museum that houses marvelous pieces of sculptures, paintings with a specialty of collections from natural history), Birla Temple (built in pure white marble and dedicated to Lord Vishnu and Goddess Laxmi) and Chokhi Dhani. At Chokhi Dhani, relish delicious Rajasthani food. Later in the night, return to hotel for overnight stay. The second day of Jaipur sightseeing tour is earmarked to take you to into the lanes of royal grandeur of the yore. After breakfast at the hotel, proceed on Jaipur city tour with Jaipur tour guide. 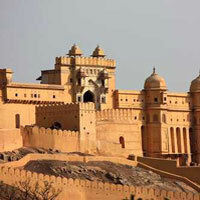 The sightseeing tour will commence with visiting Amber Fort, 13 kms away. Excursion to Amber Fort , the biggest fort of Rajasthan, is special as you will be enjoying an elephant ride like a king from bottom to hilltop where the main gate of Amber Fort is built. Thereafter visit Jaigarh Fort, Nahargarh Fort and Jal Mahal Mahal. Return to Jaipur hotel during late afternoon. Take rest and relax to move again to see an exotic worship ceremony in Govind Dev Ji temple of Jaipur. Hereinafter, return to Jaipur hotel for overnight stay. Home to three UNESCO World Heritage sites, Agra is a prime tourist destination of India. It’s historical past as a capital of Mughal rulers is clearly visible in world renowned monuments like Taj Mahal, Agra Fort, Baby Taj, Sikandara etc. 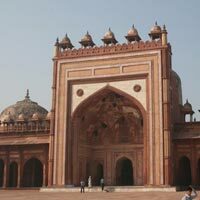 Agra is a vivid reminder of the opulence of the Mughal Empire. Visit Taj Mahal early morning at the time of dawn when Taj Mahal looks most beautiful. Taj Mahal, the epitome of love and made of shimmering white marble, is one of the Seven Wonders of the World and UNESCO World Heritage Sites. Return to hotel after visiting Taj Mahal. Refresh, relax, have breakfast in the hotel and proceed to visit Baby Taj & Sikandara. Continue to drive to Delhi. Arrive at Delhi. 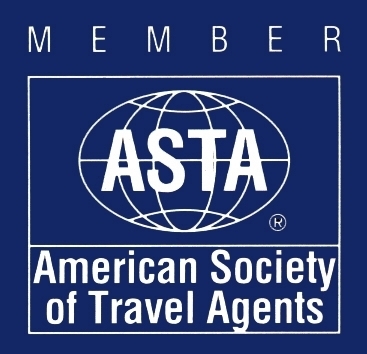 Our representative will meet and give you transfer to the designated hotel. Have early morning breakfast, proceed to New Delhi International Airport to board flight for your onward destination. Dotted with scores of sand dunes and called as the camel country, Bikaner is among the three prominent desert circuits of Rajasthan. Bikaner houses a large Camel Research & Breeding Farms and is distinguished for the best riding camels in the world. Bikaner was founded by Rao Bhikaji in 1488 AD by transforming barren wilderness of Jangaladesh with the help of 100 cavalry horses and 500 soldiers. Bikaner, being on the medieval great carvan trade route, has been very prosperous. In order to save the town from the marauding Mughals, Bikaner is surrounded by high fortifications comprising a seven-kilometer long wall which encircles the old city. The Karni Mata Temple (or Rat Temple) at Deshnok has been patronized by the ruling family of Bikaner. A salted snack made of lentils originated from Bikaner and hence is popularly known as 'Bikaneri Bhujia'. Well preserved forts, palaces, havelis and museum will showcase Bikaner's prosperous past. Bikaner is known for its desert and dessert. Khimsar in Rajasthan is a small hamlet on the edge of Thar Desert. From touristic point of view, Khimsar Fort, situated in the centre of the village, is the hotel, restaurant and tourist attraction. Khimsar is incorporated in Rajasthan tour itineraries for three reasons- first, to spend quality and leisure time with family; second to enjoy beautiful starry night of the desert and third, to explore rugged and non-descript village life in desert. The main tourist attraction of Khimsar, the Khimsar Fort & Palace, seems to be an oasis amidst undulating desert. About 65 kms away from Jodhpur, Osian, now-a-days a small village, was once a thriving business centre due to its strategic location on ancient Silk Route. Osian was at that time a great cultural centre of Marwad region of Rajasthan. Though Osian has lost its earlier glory and prosperity but it still boasts of having architectural monuments, primarily Hindu and Jain temples, built during 8th to 11th century. These temples depict the architectural tenets and art of significant old era. Jodhpur is a prominent tourist destination of India due to several historical monuments destinations nearby Jodhpur. Prominent temples of Osian are Jain Temples, Sachiya Mata Temple, Sun Temple, Harihara Temples, Pippala Devi Temple, Shiv Mandir and Vishnu Temple. Though major tourist attractions are shown by Indian tour operators and local tour guides of Udaipur, but there are many interesting places and monuments in Udaipur to be explored.Bagore Ki Haveli is one of them. 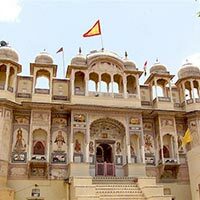 The large mansion of erstwhile Prime Minister of Mewar kingdom Amir Chand Badwa, Bagore ki Haveli, having more than 100 rooms and built in 18th century, has been converted into a museum showcasing various aspects of Mewar royalty’s lifestyle. Ambrai Ghat at Lake Pichola is the best place to capture photographs of Lake Pichola and Lake Palace at the time of sunset. For seekers of old world charm, Monsoon Palace, previously a favorite retreat of Mewar royalty, is a popular sunset spot owing to unparalleled view over Udaipur. During 10 days of December, Shilpgram Arts and Crafts Fair is organized every year. Shilpgram, meaning ‘Village of Craftsmen’, had been established to showcase rural life and traditions from Rajasthan, Gujarat, Maharashtra and Goa. This attempt by the government though has not elicited the expected results but its objectives to protect Indian craftsmanship and provide the craftsmen a better and organized marketplace have been achieved to some extent. Total Meals: 24 (Breakfast-19; Lunch-02; Dinner-03). Total night stays: 19 (Delhi-03; Mandawa-01; Bikaner-01; Khimsar-01, Jaisalmer-02; Jodhpur-02; Udaipur-02; Pushkar-01; Samode-01; Jaipur-02; Ranthambhore-02; Agra-01). Along with breakfast at all places, 01 dinner in Jaisalmer tent; 02 lunches and 02 dinners in Ranthambhore. 02 jeep/ canter safaris in Ranthambhore on shared basis. Interstate road tax, toll tax, parking charges, driver's wages, fuel charges etc. A cultural evening in the very lap of desert of Jaisalmer. A camel ride up to Sam sand-dunes to observe the hardships of desert life. Evening boat cruise in famous Lake Pichola to watch Lake Palace and traditional Udaipur city while having boat ride in Lake Pichola. 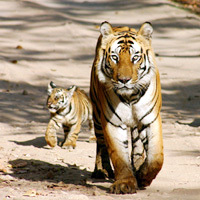 Search and spot the majestic Big Cat (Royal Bengal Tiger) in Ranthambhore jungles. Tonga (horse cart) ride in Agra- from hotel to Taj Mahal gate. Stay in heritage hotels of Rajasthan to experience modern yet royal hospitality. One night stay like a nomad in make-shift tents in the desert area of Rajasthan. Have a stroll in the village of Mandawa to have firsthand feel of the village life in Rajasthan. Do capture various postures of Royal Bengal tiger in your camera. Enjoy the serenity of romantic Udaipur with laid-back approach. Jaisalmer: At Manik Chowk, pick up woven blankets & shawls, mirror-work textiles, silver jewellery & block-printed textiles.block-printed textiles. Bikaner: At the bazaar, look for camel-hide water bottles, slippers, purposes and lampshades. Also camel hair durries, carpets and blankets.durries, carpets and blankets. Jodhpur: Try makhaniya lassi-a delicious creamy drink. Bikaner:Taste famous Bikaneri Bhujia- tangy mix of fried cereals that make a perfect snack. Normally the package cost includes breakfast at all locations but in case of the destinations where availability of restaurants outside hotel not possible, we provide meals there and mention that in inclusions. Meals other than breakfast and as specified above. Any expenses arising out of unforeseen circumstances like flight delay/cancellation/hike in fare,strike or any other natural calamities.